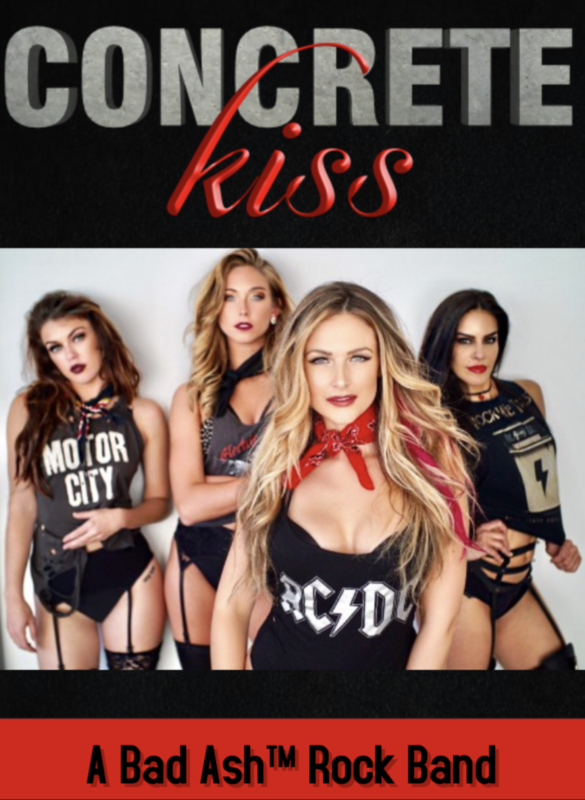 Concrete Kiss brings you an intoxicating experience of music & dance dedicated to the empowering women of Rock and Roll. This female-fronted rock band stars Ashlee Williss with the hottest professional dancers on the West Coast as the cherry on top. Weaving through the crowd and crawling on bars tops & tables, they'll grab you by the throat, and make you beg for more in a seductive night of rock‘n’dance like you've never seen before, but always dreamt about. Concrete Kiss is an immersive musical production with a roster featuring lead singer/dancer Bad Ash, band members Ishmael Perez & Michael Abraham on Guitar, Seb Ciceri on Bass & Cain Daniels on Drums with Professional Dancers Christina Quarternik, Carly Anderson & Jersey Maniscalco with special guest performers sprinkled intermittently.